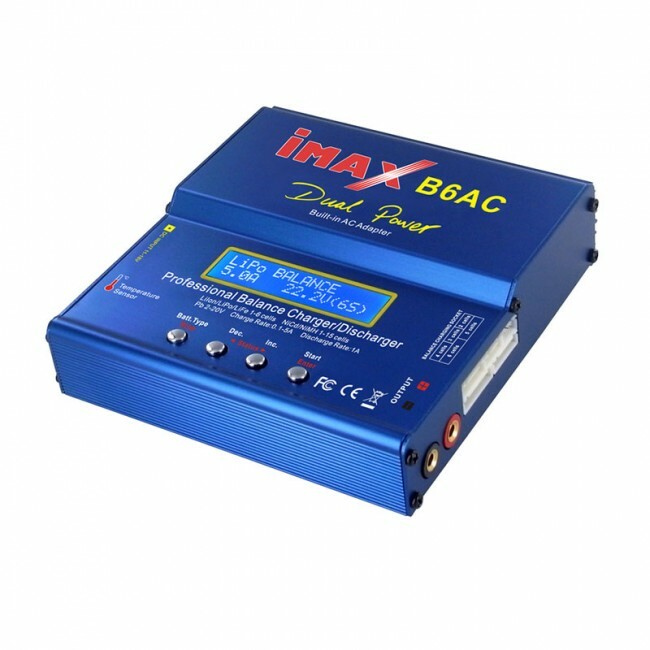 The IMAX B6AC is hands down the most popular charger on the market. One look at the features and the price and you'll know why! 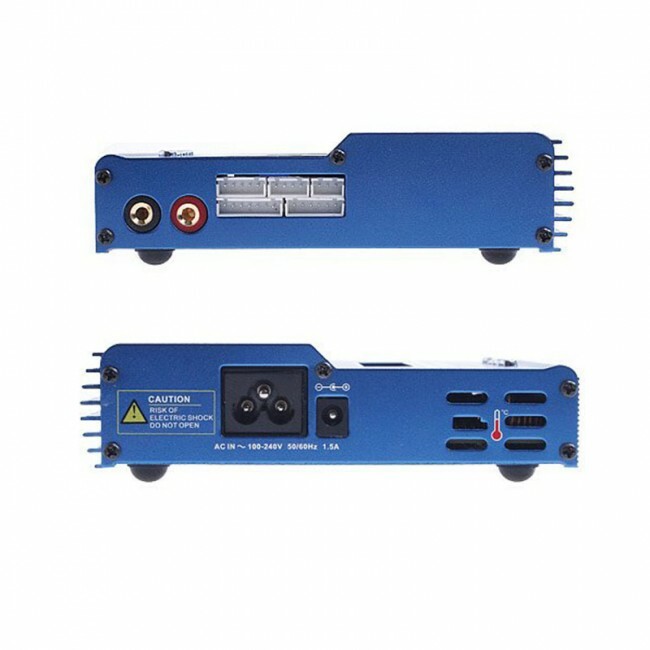 It is an AC/DC charger meaning you can power it by plugging it into a standard wall outlet using the supplied power cord, or you can power it with a battery using the supplied power leads. The IMAX B6AC is a proven charger that is able to charge, balance and discharge Lion, LiPo, LiFe (A123), NiCd and NiMH batteries. 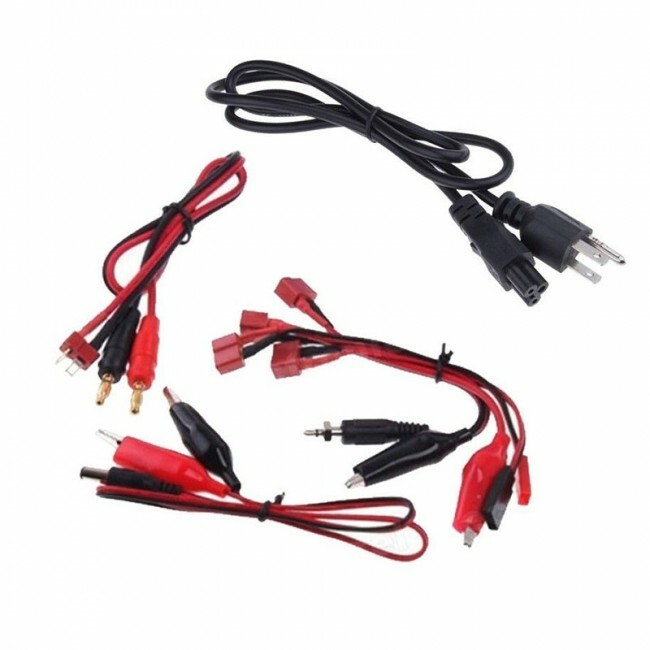 NOTE: These are clone chargers, NOT SkyRC brand. These chargers are very nice. 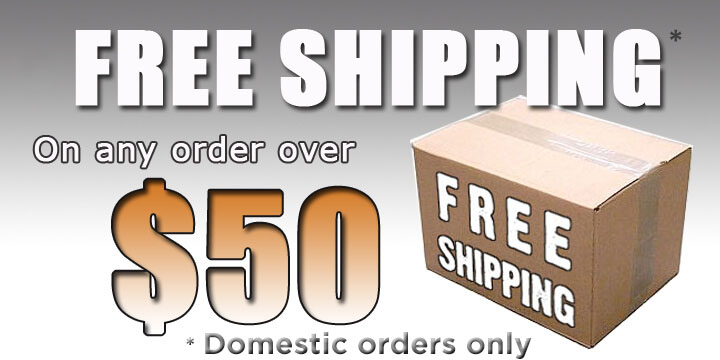 Charge your batteries in a much shorter time. Balances the cells. When charging a 6500maH 2s battery at 5A. How long to charge? I need to set the safety timer, and I don’t know the correct time. Don't worry about the timer on the charger, it will slow down and stop when the battery is charged. You can set the safety to 120 minutes if you desire, but the timer is not necessary for regular charging.